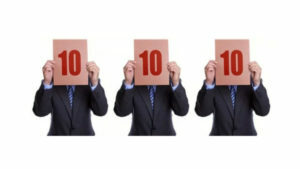 1.1 WHAT CAN A MOBILE LMS DO FOR YOU? 1.2 HOW CAN IT BE DONE ON PC AND MOBILE? 1.3 HOW TO IDENTIFY THE PERFECT MOBILE LEARNING MANAGEMENT SYSTEM? There is no doubt that mobile devices have taken over the technological and communication world. Currently, 7 out of every group of 10 people own a smartphone. This increased use of mobile devices has led to the growing trend of learning on mobile devices such as smartphones and laptops. Due to the above, the best learning management system should accommodate mobile users. It is why you should conduct an in-depth learning management system comparison. This will help you in the identification of an ideal mobile LMS that will facilitate smooth learning. This article will shed light on what a mobile learning system can do for you. We will focus on the perspective of both the learner and the teacher/instructor. Over the years, we have seen a massive transition to mobile devices in most workplaces. As we speak, most people need not go to their work stations anymore. They can simply work from home. This aspect has also diffused to the education sector. Since most people are too busy doing other things, or they may be far away from an institution. E-learning has increased in popularity. It has made it possible for students to learn from instructors with the aid of a learning management system. 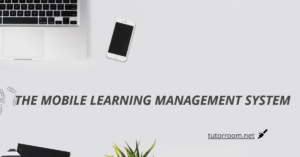 To those who are looking to provide e-learning courses, you should highly consider choosing a mobile learning management system. It will help save time and a lot of resources for both the instructor and student. Not to mention, it is super affordable. In this day and era, it is high time organizations adopt a mobile LMS. HOW CAN IT BE DONE ON PC AND MOBILE? When learning management systems were introduced into the education world, they were coded to only to accommodate the then available technology which included ordinary computers. Therefore, for you to attend an E-class, you had to be near your desktop. The mobile LMS is however more advanced. It has been tailored to be mobile friendly. If you try accessing an LMS via a mobile device such as a smartphone, you may notice some lagging or incompatibility. However, when using a mobile LMS, a student can access the platform on the go via a smartphone or even a laptop. The mobile LMS have been coded to respond to mobile devices as they would have in desktops. With a mobile LMS, you can have a mobile application for both Android and Apple devices. Therefore, for students to access the site, all they need to do is download it from the app store and log in. You can easily communicate with learners via mobile LMS and also share documents such as PDFs. Mobile LMS also makes it possible for real-time learning. 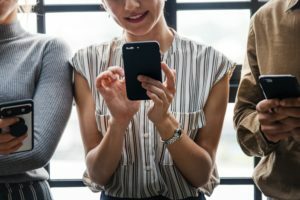 HOW TO IDENTIFY THE PERFECT MOBILE LEARNING MANAGEMENT SYSTEM? As at now, mobile LMS’s aren’t as rare as they were a while back. Today, there exists a plethora of mobile LMS’s for your organization to choose from. It is important for you to engage in thorough learning management system comparisons. First, you need to have a look at the learning management system examples that offer mobile services. From there you can choose between the paid and free learning management systems. Note that the free versions have lesser features compared to the paid ones. Therefore, you should weigh out if the cost is worth the features you will be missing out on. 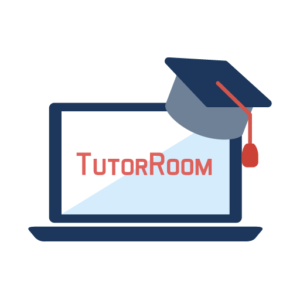 In your research, you will come across popular learning management systems such as Tutoroom.Net, Bridge LMS and Blackboard amongst others. 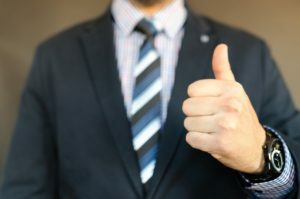 Take into consideration the tech assistance provided, previous user experience and professionalism of a mobile LMS provider before you choose one. We have discussed a lot about the mobile LMS. However, one crucial thing that we haven’t touched on is why a mobile LMS is so important? Here are its pros. The modern-day workforce is super competitive. Therefore, for one to advance his/her careers, they must continue learning skills. However, most of these people do not have the luxury to forego their duties and go back to school. This is why a mobile LMS comes in handy. It enables them to learn as they proceed with their duties. The reason why mobile devices are so popular it’s because they are flexible. A mobile LMS allows learners to conveniently and comfortably learn new skills. Instead of visiting an institution, all you need to do is take out your smartphone and start learning. Via a mobile LMS, the learner can engage with the instructor via video chats or messages. The instructor can also persuade the learner to understand different phenomena. A mobile LMS saves a lot of time that would have been used in going to and from an institution. Moreover, it is also affordable. It appears that mobile devices are scaling newer heights every month. The e-learning system is also catching up to these new developments. The entry of the mobile learning management system into the education sector is only just but a start. We are yet to see better results and significant contributions to the mobile learning management system. What Is a Content Management System for eLearning?